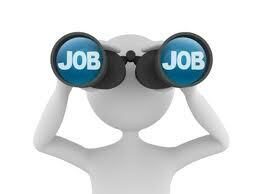 Find solution architect career job description sample (ex. 25380), position duties, work roles and responsibilities example. For related employment contract sample click here. 1) Define solutions that deliver strategic advantage to autodesk customers by automating business processes, workflows and lifecycle management, integrating customers best-of-breed enterprise systems with autodesk products using web services, middleware services industry standard database technologies. 2) Translate business requirements into technical architecture of the proposed solution taking advantage of commercial off-the-shelf functionality minimizing required customization. 3) Effectively communicate solutionï¿½s architecture to key project stakeholders explaining the benefits justifying the investment. 4) Document implementation tasks provide estimates for scope of work, help in project planning. 5) Develop implementation specifications addressing functional and non-functional requirements like security, regulation compliance scalability. 6) Identify and design repeatable solutions utilizing autodesk technologies, recommend architectural patterns, application frameworks standards for solutions development. 7) Ensure continuity of architecture decisions during implementation by coaching the implementation team. * Other work duties may be described based on the business/industry needs from - solution architect - position.